Καλοτοποθετημένο στη πολιτισμικά αξιοθέατα, περιήγηση σε αξιοθέατα, εστιατόρια περιοχή της Πόλη και Αεροδρόμιο του Μαλέ πόλης, το Champa Central Hotel είναι το κατάλληλο μέρος για να χαλαρώσετε από τις πολυάσχολες μέρες σας. Από εδώ, οι επισκέπτες μπορούν να έχουν άμεση πρόσβαση σε όλα όσα η πόλη έχει να προσφέρει. Με την βολική του τοποθεσία, το ξενοδοχείο προσφέρει εύκολη πρόσβαση στους προορισμούς της πόλης που πρέπει οπωσδήποτε να δείτε. Επωφεληθείτε από ένα πλήθος ασυναγώνιστων υπηρεσιών και ανέσεων σε αυτό το ξενοδοχείο της Πόλη και Αεροδρόμιο του Μαλέ. Μια επιλογή από εξαιρετικές ανέσεις όπως τα δωρεάν WiFi σε όλα τα δωμάτια, ημερήσιος καθαρισμός, υπηρεσία ταξί, προσβάσιμο με αναπηρικό καροτσάκι, 24ωρη φύλαξη σας περιμένουν στο ξενοδοχείο. Επιπλέον, όλα τα δωμάτια διαθέτουν ποικιλία ανέσεων. Πολλά από αυτά παρέχουν ακόμη και επίπεδη τηλεόραση, λευκά είδη, καθρέφτης, πετσέτες, ανιχνευτής καπνού προκειμένου να ευχαριστήσουν ακόμα και τον πιο απαιτητικό επισκέπτη. Εξάλλου, το ξενοδοχείο διοργανώνει πολλά ψυχαγωγικά δρώμενα έτσι ώστε να έχετε πολλά πράγματα να κάνετε κατά τη διαμονή σας. Όποιος κι αν είναι ο σκοπός της επίσκεψης σας, το Champa Central Hotel είναι μια εξαιρετική επιλογή για την διαμονή σας στη Πόλη και Αεροδρόμιο του Μαλέ. Affordable priced hotel.. aircon not that strong.. a lil problem faced on the wifi.. staff are all approachable, good and friendly.. the payment for the taxi transfer from the airport or jetty to the hotel needs to be improved.. sometimes taxi drivers are not willing to wait for the payment from the hotel.. they want fast cash from the travellers.. and the taxi transfer price is also not fixed.. If you stay here take the Deluxe Room - it is substantially larger and more modern than the Superior Rooms, more like a junior suite. The food in the cafe is excellent - try the Sri Lankan Buffet. Central location is good for business access, but accept that it is a concrete jungle. Wifi crawls at times, OK at others. Well done on not using plastic bottles for shampoo etc. Next the hotel should phase out plastic water bottles - why not put out glass bottles of filtered water? I had one night in a superior room which was small and faced a blank wall. 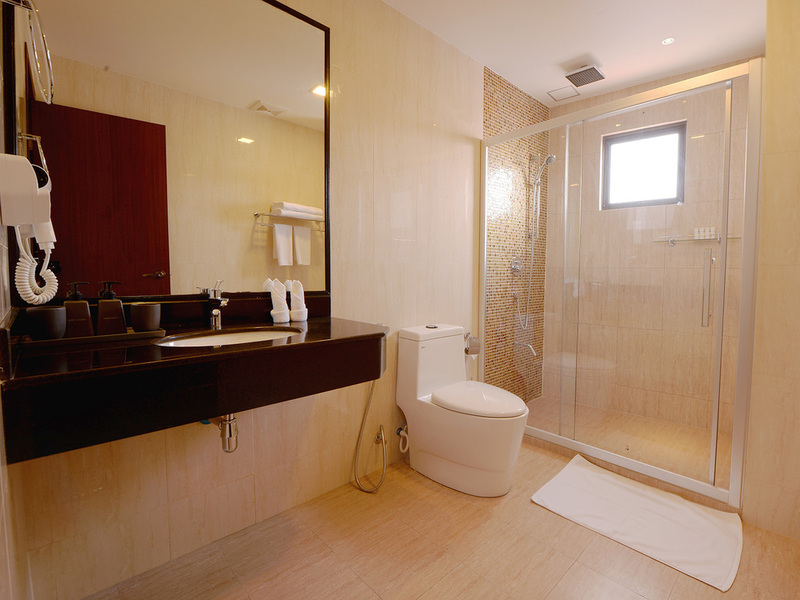 Following nights in a newly renovated deluxe room - spacious, huge bathroom, coffee machine, kettle, tv. Very nice. Food is excellent. Front desk friendly and helpful. Wifi is too slow - they need to upgrade. Dear Richard, Warm greetings from Champa Central Hotel. Thank you for taking the time to pen this review. We are happy to know that you enjoyed our warm and friendly service, as well as our delicious food. We have also noted your concerns regarding our WiFi, which we continuously work to improve. 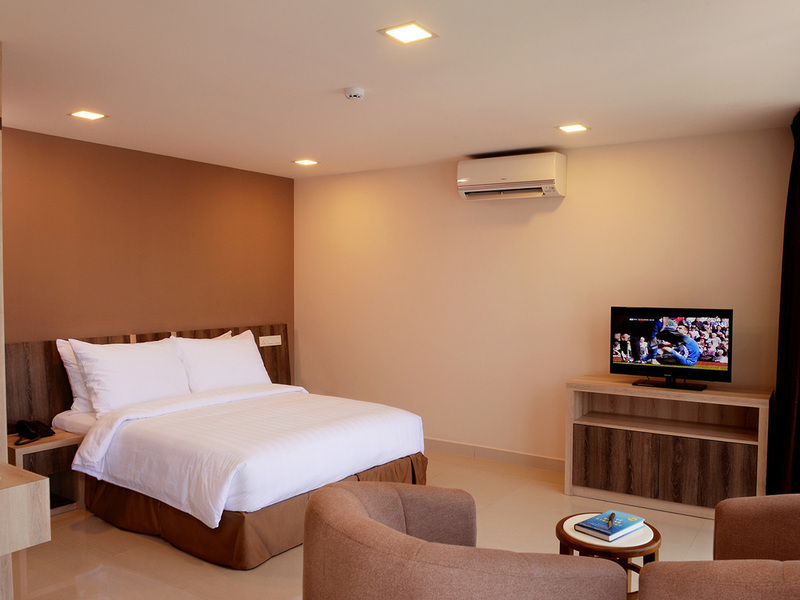 Our rooms, as you have noted, include modern facilities and amenities, where we also offer different room categories to suit our guests needs. 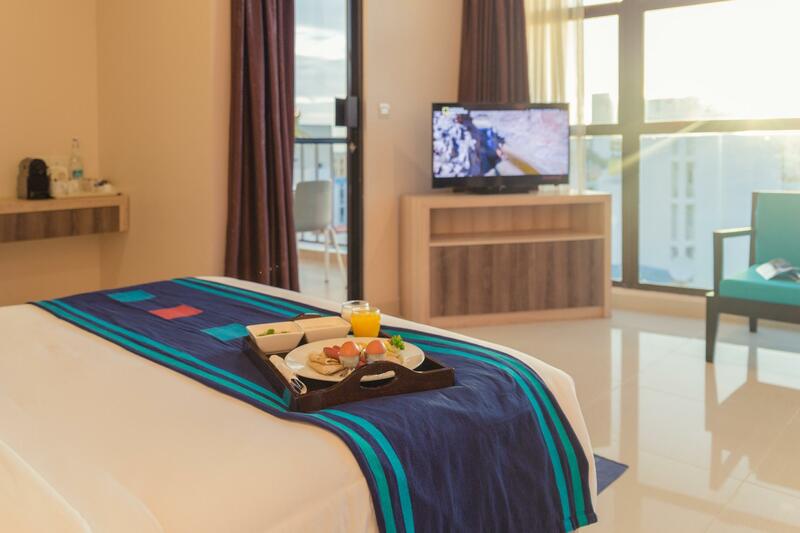 It would be a pleasure to welcome you as our repeat guest in the near future, for another comfortable stay in the heart of Male’ City. Warm regards, Sumith Kumarasinghe, General Manager, Champa Central Hotel. I have stayed for two nights, and third day the check out time was 12.00 noon. Since, I had to go to customer visit and I checked out at 9.30 am only., and kept my bag at reception and told that while in afternoon, I have to take the flight then I would need room for half an hour for fresh up and change the dress. But, when I came back around 1.30 pm and staff refused and asked me to pay day price even, if I use for half an hour. This was very disappointing and I had to use a congested wash room at reception for Change and freshen up. Unsupported staff and their manager, who told me catagorically that he wouldn’t give room for 10 mins, although they had vacant rooms available. We enjoyed put short stay. Great hospitality. Dear Anuradha, Warm greetings from Champa Central Hotel. Thank you for taking the time to review our Hotel. 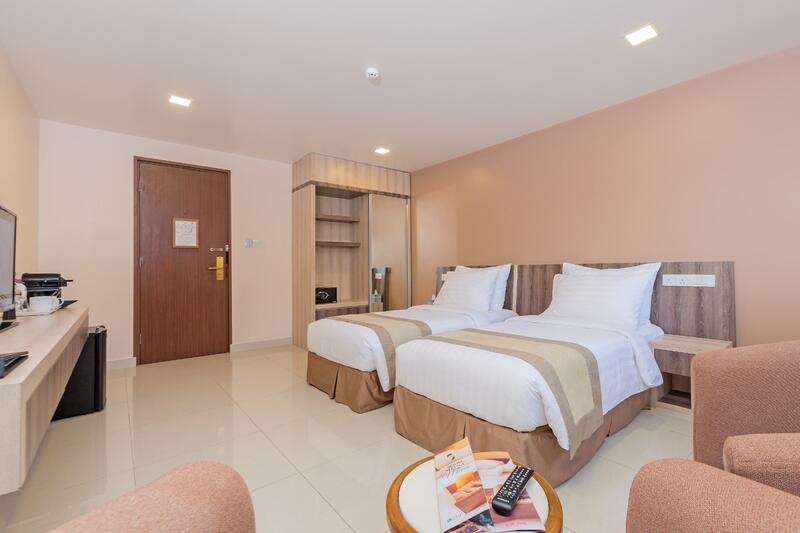 We are pleased to read that you enjoyed your stay at our modern and conveniently located Hotel in the heart of Male' City, especially our wonderful hospitality. Our staff will be delighted to know that their friendly and efficient service is much appreciated. Thank you once again for your review. We sincerely look forward to your return as our repeat guest for a longer stay. Warm regards, Sumith Kumarasinghe, General Manager, Champa Central Hotel. We loved the hospitality of the staff! Good transit hotel ! Hotel staff are warm and welcoming. Food in coffee shop good -- note that portion sizes are huge. 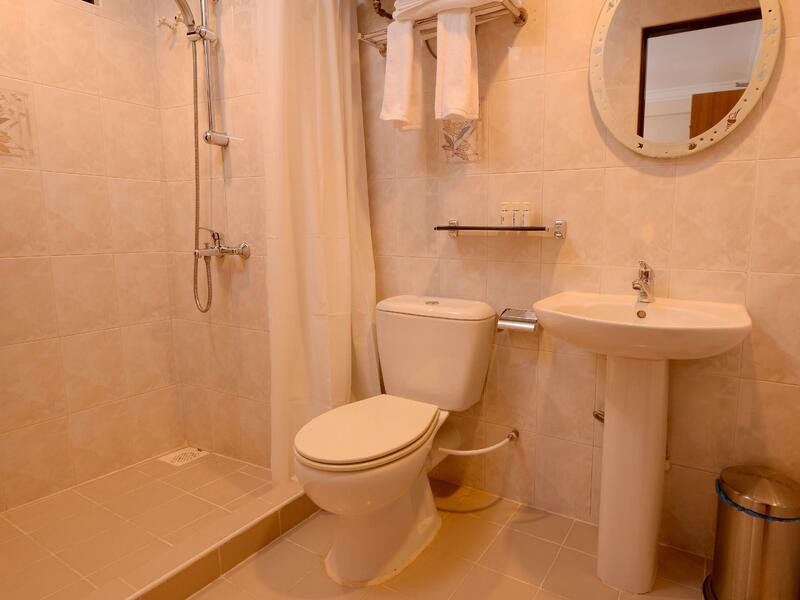 One concern is the bathroom is dangerous, with the shower in the entry and the toilet beyond. The floor is tile, so it makes for a very slippery bathroom. Comfortable beds, good shower, very good food especially for breakfast. Downside _ communications were always a problem, the checkin at reception is unbelievably long, no one seams to know what is happening. The roomi initaly beeked , a superior was totally different from that advertised in Agoda. Dingy very small and cramped. I paid extra for a delux and as we were staying for 12 days got a discount which was appreciated. The new room was wonderful, and l would recommend anyone staying here to go for it. 513 excellent. Wifi was always a bit of a problem as with the TV channels if you wanted anything in English, we often simply gave up and turned it off. Clean, easy & friendly business hotel. Good food considering it as easy lodging hotel. Must compliment the F&B team for a good work. Delicious breakfast and even the buffet dinner is good. Kind staff. good for business travel. not close to tourist attractions. This time can't give higher mark for cleanliness as I was attacked by bed bucks during my stay for 3 nights. very nice clean , afordable, western western standarts, very comfortable beds, good Wi-Fi breakfast is just ok. they gave me the room as soon as it was clean, since i arrived early worth the money. The reception counter is so unfriendly, asking few time where is the restaurant for breakfast and couldn't get the correct direction. Have to figure out ourselves. Dear Ana, Warm greetings from Champa Central Hotel. Thank you for taking the time to pen this review and for giving Champa Central Hotel a perfect score. I am happy to know that you enjoyed our breakfast, value for money and our friendly service on your last visit to our Hotel. 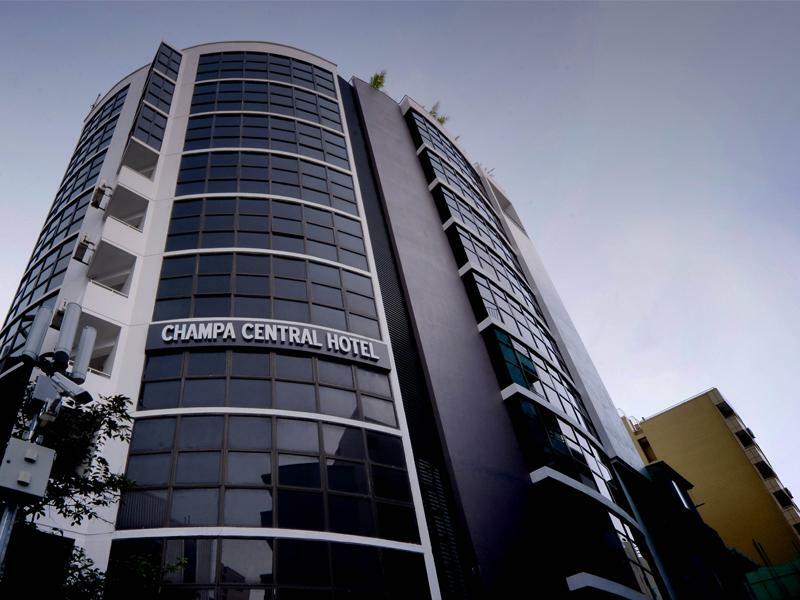 We hope to have you staying at Champa Central Hotel again in the near future for you to enjoy more of the improvements we have made to our Hotel. Please look to our website for future bookings and all your planning needs. Best regards, Mohamed Nazim, Acting General Manager, Champa Central Hotel. Dear Yow, Warm greetings from Champa Central Hotel. Thank you for taking the time to pen this review and giving our Hotel an excellent rating. We are pleased to read that you enjoyed the convenience offered by our location in the heart and center of Malé city. It would be a pleasure to welcome you back to Champa Central Hotel soon. Please look to our website for future bookings and all your planning needs. Best regards, Mohamed Nazim, Acting General Manager, Champa Central Hotel. Останавливался на 2 недели, брал полный пансион,еда не разнообразная, не всегда можно выбрать что поесть. Завтрак тянет на твёрдую тройку ( каша, сосиски, водянистый омлет, булочки, блинчики сухие, мюсли и фрукты. Йогуртов нет, орешков нет). Пришлось поменять номер, так среди ночи завоняло канализацией. В целом отель новый, гостей очень мало, на недельку на бизнес- трип можно заехать, нормально. Есть маленький тренажёрный зал с гантелями и велодорожкой, штанги и свободных весов нет. Отдыхали в Мале в апреле 2017 года, решили забронировать номер именно в этом отеле. Проживали в № 860 (Superior Room), номер совсем небольшой около 20 кв.м., но довольно уютный. В номере имеется все необходимое: телевизор, кондиционер, шкаф, сейф, минибар и т.д. Питание по системе "шведский стол", выбор не большой 1-2 супчика, 2-3 вторых блюда, 2-3 гарнира, и к чаю пирожные и желе, а так же фрукты. Кормили вкусно. Персонал доброжелательный. Имеется "шустрый" Wi-Fi. В общем, рекомендую. Τερματικός Σταθμός Λεωφορείων Hulhumale στα 0.87 χλμ.